Amy Licence: historian of the lives of Medieval, Tudor and early modern women; nineteenth and early twentieth century art, history, literature and culture; writer of literary ficton. To coincide with the publication of “Elizabeth of York; The Forgotten Tudor Queen,” later this month, I invited questions about my biography, my views and anything else relating to my work. Thank you for all the replies on the blog and facebook page; the responses show just how much interest and knowledge there already is out there about this fascinating lady. I think if I were to try and answer all of them in as much detail as they deserve, I would end up rewriting my book here on the blog. So, I’m not giving everything away but here is a taster of what to expect in the biography- I hope it whets your appetite. If you don’t see your question exactly as you wrote it, it’s because I’ve combined questions whenever I’ve had several that are similar. I’ve always been interested in Elizabeth; I think it stemmed from my initial fascination with her children. 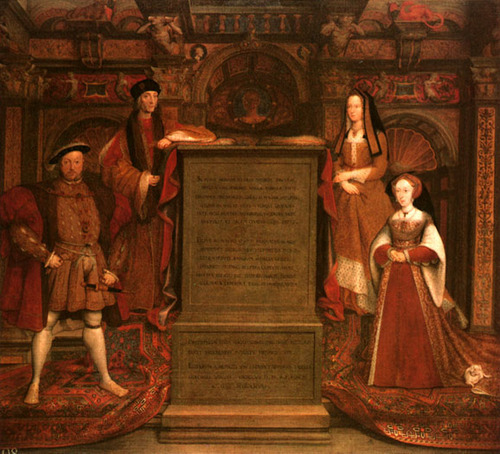 If you’ve read about the lives of Henry, Margaret and Mary Tudor, it seems logical to want to explore their childhoods and the relationships they had with their parents. The children, particularly Henry, were so colourful and charismatic; they had such a vitality and majesty in everything they did, yet tradition had often presented their parents as quieter, cautious and understated figures. 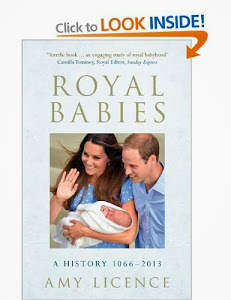 I thought this was, in part, due to their overshadowing by the next generation in modern popular works and perhaps due to the infancy of their dynasty. 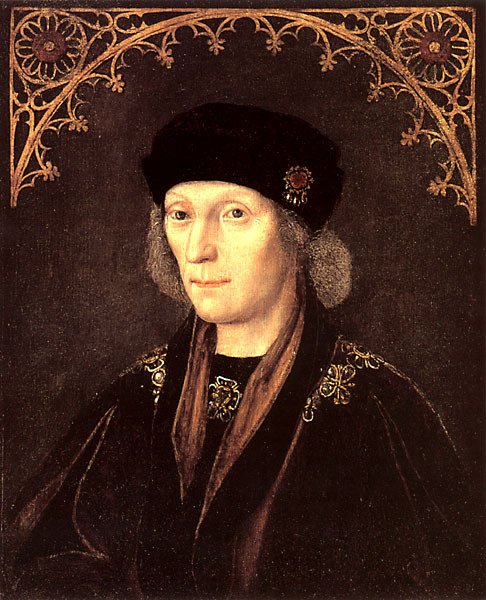 Both were survivors and throughout Henry VII’s reign, there was no guarantee that the turbulent decades of their own youth were over. Hindsight is a wonderful thing. Often, I see authors drawing an imaginary line in the sand in 1485 (or 1487) and almost breathing a sigh of relief but this was by no means a given at the time and I wonder how much their descendants’ inimitable style and self-fashioning was borne out of this early insecurity. Also, when I read the primary sources about Elizabeth’s life and death, I was struck by just how popular she was and by the hints of scandal associated with her name, so I wanted to find out more. I was keen to move slightly away from the traditional biography style; on one level, this is a narrative of the events of her life, but I’ve also taken a thematic approach. I wanted to use Elizabeth to explore fifteenth century ideals of queenship and judge what model she chose. Why does the book’s subtitle refer to her as a “forgotten” Queen? Elizabeth is one of the least well known Tudor Queens. Henry VIII’s wives and daughters have received a lot of attention, of the popular and academic kind and, in comparison, Elizabeth is less well known. Even in studies that explore the establishment of the Tudor dynasty, she is something of a two-dimensional figure, a foot note or appendage in the story of Henry VII. I have read a lot of books that simply repeat the same old “facts” about her lineage and marriage but I still struggled to form a rounded picture of her in my mind. Elizabeth’s problem is that she is such a convenient foil for other people; she’s always presented as someone else’s daughter, wife or mother, rarely just herself. Her image also obscures her; the long-standing mask of her demure beauty and goodness has reduced her to something of a stereotype and it is only recently that writers have started to challenge this. After all, this was a real woman, with real emotions, who lived a passionate and turbulent life. I wanted to try and dig her out of history’s margins and put her back in the centre of the stage. What was her relationship with her mother-in-law Margaret Beaufort like? Were they generally close? 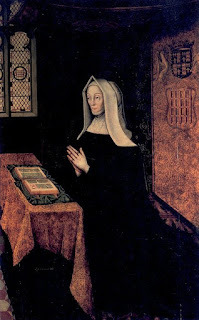 Did Margaret Beaufort resent her for having so much royal blood or being from the House of York? This is a tricky one, because I think that today, we might judge relationships to be successful according to different criteria than the Tudors. I do feel that Margaret’s character has been massaged over the centuries into something of a harridan. A few assumptions made by distant observers, like foreign ambassadors, have been taken as gospel, like that Elizabeth was overshadowed by Margaret, but these are only assumptions. Likewise, records of Margaret walking just a pace behind the Queen and supposedly jostling with her for precedence only reinforce what would have been the correct courtly protocol. Margaret’s claim to the throne was as good as Elizabeth’s and they did often appear in tandem to reflect this. Only one person knew how Elizabeth really felt about Margaret and she did not commit it to paper. If we look at what we can deduce about the King’s mother, she was clearly a dynamic, formidable, determined and energetic lady; just the sort of woman you would want to have on your side. If Elizabeth did find her at all “overbearing”- and this is a modern reaction- she may well have accepted that, as it was balanced by the assistance Margaret was able to offer. Having an experienced older woman at her side, particularly when she pregnant or in Henry’s absence, may well have been reassuring. As for being “close,” again, this is subjective and perhaps, a bit of a misnomer; in terms of the late medieval impulse for survival and the need to forge alliances, Elizabeth and Margaret found a sort of equilibrium that allowed them to be allies. I think their mutual interest bound them together. Elizabeth was married to Margaret’s son. She would have been pragmatic and wise enough to overcome any “dislike” she felt for her daughter-in-law’s Yorkist roots. After all, Margaret’s marital history had necessitated a good deal of diplomacy and “getting into bed with” the enemy. It does seem that particularly for the women of the era, personal alliances could overcome family loyalty, such as with Elizabeth Wydeville, who married a Lancastrian, then a Yorkist King. What was the relationship between her Elizabeth and her mother? How did she cope with being separated from her? From what I can deduce, Edward IV and Elizabeth Wydeville appear to have been loving parents and their children were close, having been raised together at Greenwich. They eldest three girls shared their mother’s sanctuary in 1470, when she gave birth in conditions of comparative deprivation and fear, which may have united them through shared sufferings. Later, in 1483, their flight again brought them together through a difficult time and I suspect, Elizabeth as the eldest had been her mother’s support at this time. The Princesses leaving their mother behind in sanctuary in March 1484 certainly constituted a significant separation but it was politically and personally expedient to all concerned. They coped with this because they had to, there wasn’t a lot of choice so I can only guess that they just tried to put it out of their minds and carry on. Was there any kind of rift between mother and daughter when Elizabeth was married to Henry Tudor and crowned Queen? From what I've read, Elizabeth kept in close contact with the rest of her family, but not a lot of contact with her mother is recorded. Do you think Elizabeth Woodville was involved in any of the Yorkists plots after Bosworth and as a result her daughter stayed away from her? From looking at the evidence I don’t think there was a rift. Also, the processes by which such material is recorded and its survival over 500 years means that absence of evidence can’t be taken as evidence itself. 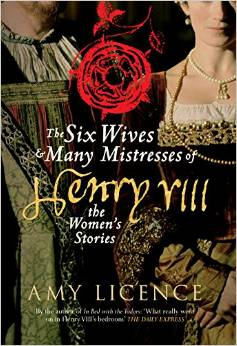 Elizabeth Wydeville had worked for the match with Henry; she had no reason to fall out with her daughter about it. Even if she believed one of her sons had survived, I’m not sure she would have taken the risk to plot against the new regime. 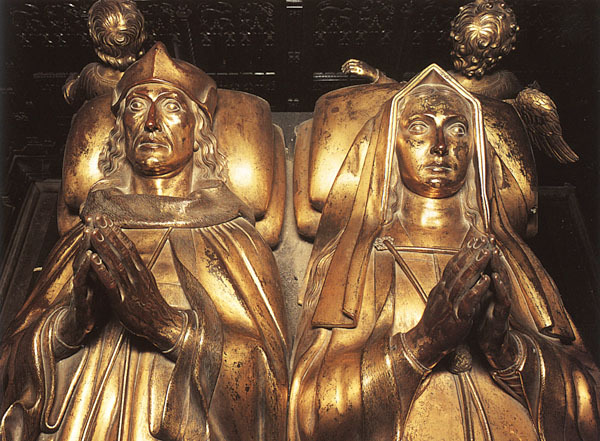 Henry VII may have privately distrusted her but he referred to her as his “beloved” mother-in-law and wanted her and Elizabeth with him before the Battle of Stoke. I remain to be convinced that Elizabeth would have schemed against her daughter and grandchildren. 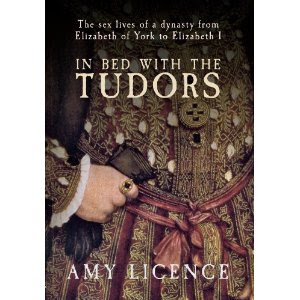 The York-Tudor marriage was the best possible outcome for her and to jeopardise this would have been foolish. Her stay in Bermondsey Abbey, between 1487-1492, and the reduction of her income, has been interpreted as a form of imprisonment but what if it was done voluntarily, even willingly? At fifty, Elizabeth Wydeville had lived a turbulent life; been widowed twice, outlived many of her children, feared for her life, fled into sanctuary and seen the wheel of fortune turn through many cycles. She had been a devout Catholic all her life and may have been ill in her final years. Perhaps she chose to retire and spend her years in contemplation, as many widows of the era did, recognising that she had achieved all she could and happy that her daughter was now on the throne. Not a lot of contact with her daughter is recorded, yet Bermondsey Abbey stood just over the Thames from the Tower, hardly any great distance away. I’ve not yet seen any evidence to support an estrangement but I am always open to new material. I have a lot more to say in the book about Elizabeth Wydeville’s reputation and the judgements made by historians about her character. 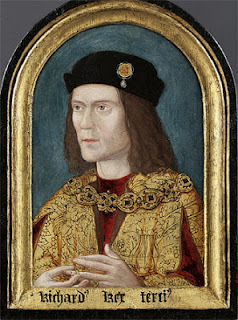 What do you think about the supposed relationship between Elizabeth of York and Richard III? Without giving too much away here, I will just say that there are two sources that I think need to be re-evaluated. Quite a lot of theories have been built on very slender evidence, which is fine for historical fiction and helps bring the characters and the times to life. And, after all, when evidence is lacking, imagination and empathy have to fill the gap. When aiming at strict factual accuracy, though, I think the historian can only look at what is known rather than trying to interpret sources according to how these individuals “may have felt.” Equally, this can’t be ruled out automatically just because it is offensive or incomprehensible to the “modern mind”, if such a universal concept exists! It does appear that some of Richard and Elizabeth’s contemporaries believed in his intention to marry his niece and weren’t happy about it: twelve doctors of divinity were summoned by Parliament in order to put forward their objections and Richard later issued a complete public denial that this had ever been his intention. However, as with all these figures, the gulf between the public persona and the private sentiment can only be guessed at. Was she ever really in love with Richard III or Henry Tudor? I don’t know if Elizabeth’s position allowed her the luxury of love. While there are many notable exceptions, particularly her own parents and son, the companionate marriage was a later phenomenon and duty often had to override personal inclination. I’m not denying Elizabeth’s humanity or capacity for love but maybe she approached these men in a different way. What constitutes love? It may be as different for individuals then as it is today. Perhaps part of these men’s attraction lay in the role and status they could offer: they had the whole package, including the crown. This doesn’t mean Elizabeth was mercenary but that she made shrewd alliances which were appropriate to her own status. From what I’ve read, I believe her marriage with Henry was a successful one, with them working in a partnership and being united at time of danger and grief. Her pulse may not have raced when he came into the room but their mutual goals kept them close; what was good for one was good for the other. Henry’s reaction to Elizabeth’s death also suggests genuine grief. Do you think Elizabeth was forbidden from seeing Perkin Warbeck, as is often claimed, or whether she chose not to see him? I have often pictured Elizabeth taking a sneaky peek out of a window at Sheen Palace in 1497 to get a glimpse of Perkin! I think the answer to this depends upon what she knew about the fates of her brothers. If she had incontrovertible evidence of their deaths, she may have chosen not to see him. If there was any doubt in her mind about their survival, I think she would have tried to have a look at this young man who claimed to be her close relation. His activities may have stirred up past grief but with so many deaths and losses in her life, I don’t think it would have necearily destabilized her to see him. The notion of Henry forbidding Elizabeth to see Perkin doesn’t sit comfortably with the impression I have formed of their marriage. Do we know for certain that she never saw him, at any time? He seems to have been quite publicly paraded about. I've watched the BBC miniseries, "The Shadows of the Tower" which covers the reign of Henry VII. In the episode when Elizabeth gives birth to Prince Arthur, Margaret Tudor and Henry repeatedly fret about Elizabeth being "delicate". Alternatively, I've heard about her becoming increasingly sick after increasingly difficult pregnancies. Is there any truth to this? I consider this quite interesting in light of the fact that Henry VIII supposedly inherited his height and athleticism from her side of the family. Elizabeth bore seven (possibly eight) children over a period of eighteen years and died as a result of her last live birth. There does not seem to be much evidence to suggest she was “delicate” before her marriage and her first pregnancy and delivery in 1486 appear to have been straightforward. However, she did suffer from an “ague” or fever, afterwards, which delayed her churching. She did not conceive again, so far as we know, for two and a half years. Perhaps this was the couple being cautious regarding her health or complications that arose as a result. 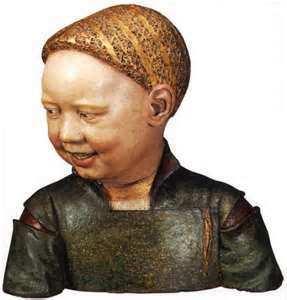 Concern emerged again in 1500, when she was pregnant with Edmund, although the nature of this is unknown and may have related to her advancing age. The more children a woman bore, the greater the risk of experiencing some sort of complication and the more severe the toll on her body, which was not getting any younger. At least two of her babies were born close together, with Elizabeth conceived only 3 months after she had borne Henry in 1491, so her body can hardly have had much chance to recover before the process began all over again. While the demands of childbirth clearly left their mark, with one foreign ambassador remarking that by 1501 she had become a little stout, I would be inclined to place her experiences within the “normal” bracket for women of the time. It would be more unusual if she had seen through seven confirmed pregnancies through to term and not had some sort of difficulties. Something clearly went wrong with her last birth, though. Her death in 1503, over a week after bearing Katherine, suggests a postpartum infection, but her labour started early, catching her by surprise while she was at the Tower, where she had not intended to deliver. When something went badly wrong, as it clearly did in 1503, the midwives did not have the skill or knowledge to save her. Yes, Henry VIII was reputed to look like Edward IV but of course these things can skip a generation and the transference of genes is notoriously complex. We do know that, later in life, Henry referred to his mother’s death as a tragedy and her influence was undoubtedly missed. Do you think Elizabeth was forced or chose to be "apolitical" Queen Consort? Elizabeth would have been aware of three models of queenship before her own succession. 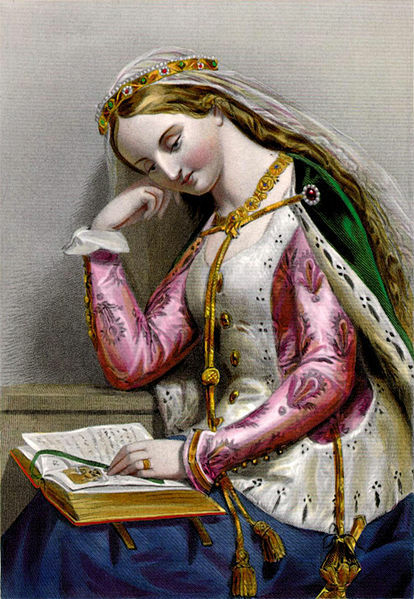 Margaret of Anjou was generally distrusted as being “warlike” and aggressive, Elizabeth Wydeville for haughtiness and nepotism, while Anne Neville’s lack of fecundity could have led to problems. (These are summaries of “common fame” rather than my view of them.) Henry was very keen to stress that his claim to the throne was independent of his marriage and did not require Elizabeth’s validation, so I don’t think he would have welcomed her taking a public role in politics. I think Elizabeth very wisely followed the model of Queenship put forward in some fifteenth century texts that we know she had access to, like Christine de Pisan and Caxton’s A Game of Chess. These advocated an ideal queen whose sphere of influence was more domestic or behind the scenes. Elizabeth’s influence over Henry was of a personal nature, as a helpmeet and confidant, and through the charitable and religious offices of her household. She was a softer, more accessible side of queenship, a maternal figure who was sympathetic to supplicants and balanced the “war-like” masculine component of government. I think this was a very sensible decision that suited them both. How do you cope with motherhood and writing, do you have a routine? It's a wonderful achievement to have three books published within one year! How many months/years have you worked on each and how many hours a week? Thank you. I can’t say it has been easy! When I wrote In Bed with the Tudors, I was pregnant, had a toddler running round me and hadn’t had an unbroken night’s sleep in almost three years! Then, I gave birth in the middle of writing Elizabeth of York, the Forgotten Tudor Queen. The funny thing is though, this actually helped focus me. Before I had my children, when I had more time to write and research, I was less disciplined about it. Now that I had my sons’ needs to see to and impending deadlines, I had to extract every minute I could and make the most of it. I often stay up to write after they are in bed and my husband is very supportive, looking after our eldest son, so it is easier for me to get some work done. It’s hard sometimes to balance it all but we do make sure we got quality family time together whenever we can. I don’t follow a pattern or set hours of work, I just do whatever I can whenever I can. I do believe in the notion that “the journey of a thousand miles begins with a single step” and have treated each day as a single step, completing one paragraph here and another there, whenever and wherever! I have produced three books in a relatively short space of time but they are the culmination of years of reading and research. I did my MA in 1995-6 and have carried on reading and studying independently since then. I consider myself to be a continuing student of history and try to approach the past with an open mind and no particular agenda beyond my own interest. I am always open to persuasion and new sources or interpretations. 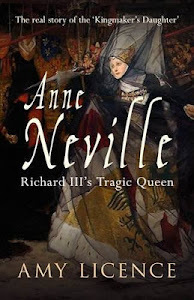 I have also received a number of questions relating to Anne Neville, but as this has turned into a bit of an epic post, I will hold on to them and do a separate question and answer session prior to the release of my biography on her, this April. Thank you to Susan Abernethy, Susan Higginbotham, Suzanne Israel Tufts, Geoff Licence, Sylwia S Zupanec, Debra Al-Bayani and Anonymous for your interesting and well informed questions. Loved your answer to my question Amy. Great post. Looking forward to your book on Elizabeth. Enjoyed reading your answers Amy, I eagerly look forward to your book! Thanks. Very interesting and informative post! Thank you for answering my questions :) I look forward to reading your book. Thank you Amy, so interesting. A real taster of what is to come in the book. 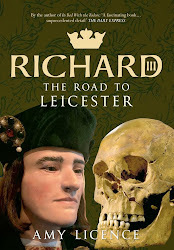 Looking forward to watching the Richard III documentary on TV tonight, what a day! 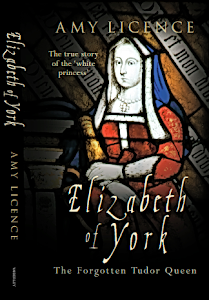 Hi Amy, just ordered 'Elizabeth of York', I am hoping it will arrive in time for my trip to France next week, when I will tuck it under my arm and look for a nice medieval setting to read it in. With a glass of wine of course! Looking forward to watching the time traveller's guide to Elizabethan England on TV tonight. Hi Amy, it has arrived! The book looks great I cant wait to delve in. Hope you enjoy your TV catch up. Best wishes, Debbie. I concur Brandy, I was expecting dreadful and was pleasantly astonished. I speculate how much of it appealed to me also because of having read CM and her mentions of Ruskin and natural history journaling and some of those parallels. In any case we are actually enjoying it. This was very informative. I was captured, initially, by the comparison of the portrait of Elizabeth to that of the actress that portrayed her mother in "White Queen." Then, I read your post and was quite delighted! That's very kind, thank you for saying so. I would love to read your book. Thank you for this post. Richard didn't plan to marry his niece Elizabeth. He was going to marry the Portugese Princess Joanna and Elizabeth was going to marry the heir to the throne of Portugual. This Richard x Elizabeth thing has already been proven false. Yep, I don't think I've said anywhere that he planned to marry his niece. Joanna of portugal was born in 1439 she was 46 years old for by 1485 and Richard III was 32, only by logic someone really think that Richard was thinking on marry Joanna?, 46 was a very advanced age for that time ( We are talking about the late 1400's where life expectancy for women was under 40 years old without mentioning about deaths during births) Richard's kingdom was reeling without a legitime heir at convulsed time where the kings needed a male heir and a spares to prove the strength of their dynasty and even with a legitime heir nothing was sure. Maybe such intention towards joanna was just a scape card to cut down the rumors unleashed about his niece which is well known were so strong that he had to publicly deny them in front twelve doctors of divinity in the parlament but If we use the logic we have to consider a fact that Joanna was much advanced in age and had never given birth to children, Richard would certainly never agree to marry even for political advantages to a women that could not bear children in a delicate time for his reign where he desperately needed an heir, he and his advisors would probably went for a young and fertile woman even if he did not want, his advisors would exerted pressure due the importance of leaving a legitimate heir at that time was crucial. Richard lost his wife due some unknown sickness and Anne Neville was young she was 28 at that time, not to mention the lost of his son, his heir who was reported by several written accounts as being sickly or weak.﻿ The funny thing is between Johanna and Richard there was the same age gap than Richard and Elizabeth, 14 years .. I don't see either the Portuguese marriage project as disproof to rumors because pretensions are dated later after richard denied and that any idea of marrying EoY was repudiated, He stepped with the portuguese marriages after the rumors bothered and not before. One point about it. 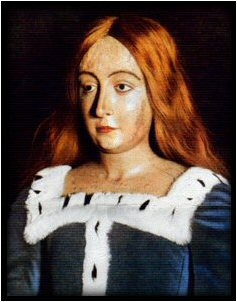 Infante Manuel, EoY's proposed husband, would later succeed to the throne as Manuel I, so had it gone ahead, Elizabeth of York would still have become a Queen, it seems she was destiny to be a Queen somehow even if was not of England. To Bring on the Flowers: Medieval Women Menstruating. Sleep tight! Going to bed in Medieval and Tudor England. 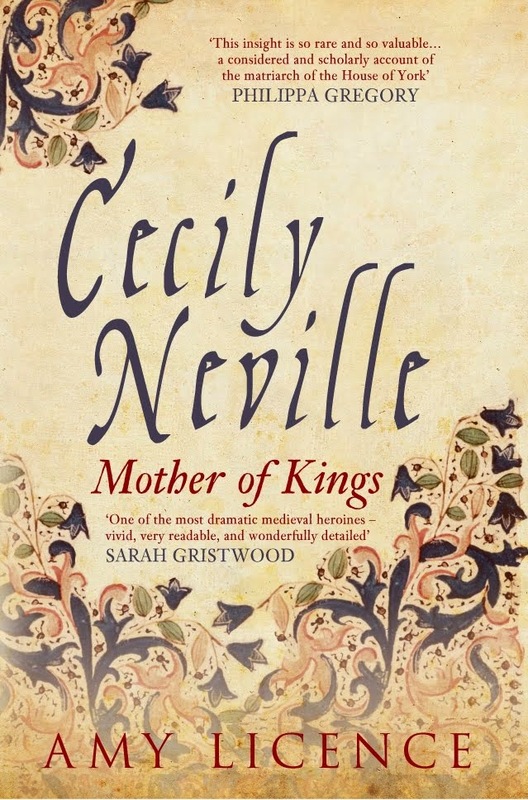 A Study in Medieval Fertility: Richard of York and Cecily Neville. What was it like to be a child in Tudor times ? Available on Amazon now- click on the image for details. This work is licensed under a Creative'>http://creativecommons.org/licenses/by-nc-nd/4.0/">Creative Commons Attribution-NonCommercial-NoDerivatives 4.0 International License.